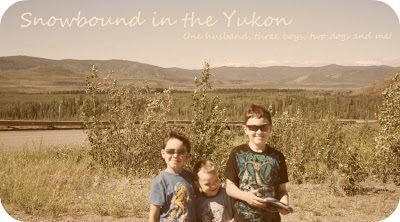 Snowbound in the Yukon: I've been busy lately! This wasn't working for me. Too high! I've been busy working on things around the house and projects. I've picked up some free things at the free store and changing my working area around. Doing things in the house. I've gotten a few things from my Mom to work on and I have lots of things I'm working on. I've been making lots of note in a inspiration journal and can't wait to do projects. It's been awhile since I've felt this good and had so much energy. I love it! We've been in this house for three years and it's never felt more homey than it does lately. I have other plans for it. Once my Honey makes me a new TV console and another console to put in the dining room, then I can get rid of some more things and make the house more like I want it and less cluttered looking. A work in progress. Since my Honey finished the shed, I've been putting a lot of stuff out there to make room and I'm so happy with that progress.